Choose from any one of the research paper topic suggestions listed on this web site to help you with your own research paper. In 1850, a thorn in the side of religious educators emerged with the well-written postulation of Charles Darwin's theory of evolution on where the animal and human species originated. The naturalists of this era had long since asserted evolutionary theories, but not until Charles Darwin was the educational system forced to confront the challenge to Creationists. In researching his theory of evolution, Darwin carefully collected information about natural history. 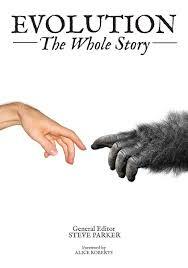 He asserted that humans evolved by evolution, and explained how it occurred. According to Darwin, only those adapted to their environment survived to reproduce. He contended that the weak would die out and the fit would survive. This idea is known as natural selection. Theory of evolution ideas were carried over to other aspects of life, such as sociology and economics in the form of social Darwinism. Given the inherent difficulties of understanding the theory of evolution, there is an impetus to find a pathway for explication that brings the ideologies of evolution into the spectrum of what can be reasonably comprehended. To this end, your theory of evolution research paper should seek to summarize the theory of evolution through the framework posed by the process of natural selection. Evolution - Evolution research papers discuss the theories on evolutionary atmospheric conditions, recreating evolutionary microcosms, and the geographic origin of homo sapiens. Theory of Evolution - Theory of Evolution research papers. Get help with your evolution research paper from Paper Masters.